When HIV was first named the world was taken by storm with panic. How was the deadly virus spread? 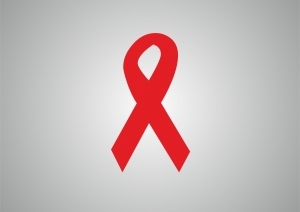 Could healthcare professionals contract the disease from caring for HIV-positive patients? With years of research and advancements in medication and treatment, HIV-positive patients are living longer and the rate of transmission to healthcare professionals is lower than it was in the 1980s. However, despite these advances, there is still a stigma that surrounds men and women with the virus. The stigma is so strong for pregnant women that many choose to give birth outside of the hospital to escape the negative stigma. Researchers have reported women in Nyanza were often abused and treated with great negativity after being diagnosed with HIV. The stigma and negativity surrounding the disease forces many women away from hospitals when it comes time to give birth. The women do not receive prenatal care and are often without the HIV medications needed to control the virus. Medications given before, during and after birth can reduce the chance of passing the virus onto an infant nearly 100%. But, if women are not receiving medications or medical care because they are scared, infants are much more likely to contract the virus. Researchers and medical experts strongly agree that stigma training and education needs to be an important part of the next step in the fight against HIV. HIV is a controllable virus and the average lifespan of a person with HIV has lengthened exponentially since the 1980s. Prenatal treatment is not only important for the overall health of mom and baby, it is crucial to stopping the spread of HIV to the infant. If stigmas are stopping women from receiving the care and treatment they need, those stigmas need to be expelled and proper education used to convince women they will get good prenatal care without the judgment. Next: How Do So Many Celebrities Conceive After 40?